Welcome to the fifteenth (#15) dividend income report, covering earnings I've made from dividend-paying stocks, peer to peer lending (both fiat and cryptocurrencies) in July 2018. In case you are wondering why I'm sharing online my earnings - the answer is pretty simple - I like transparency and these reports help me to observe my progress or bounces. Hopefully, my reports can give some inspiration to you as well. 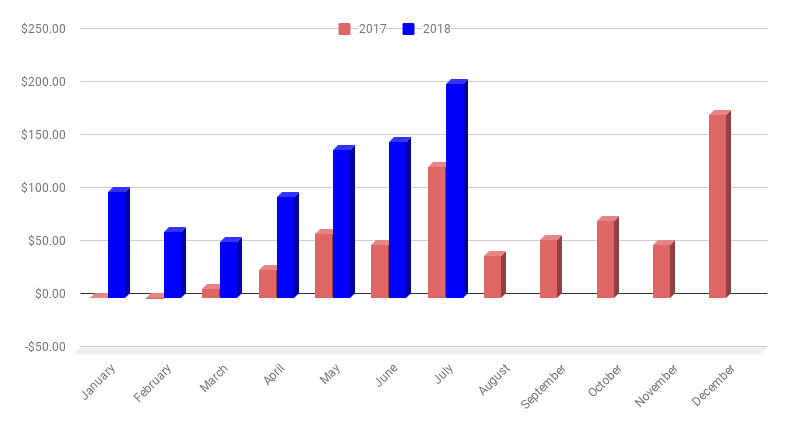 For the second year in a row - July is the best performing month in my portfolio, and this July did break all milestones and for the first time since tracking, cracked pretty impressive $200 milestone. Disclosure: This article contains affiliate links to mintos.com peer to peer lending website, by clicking on links on this page and by making an investment on mintos.com, I might earn affiliate income at no cost to you. Also, I'm not a financial advisor and I don't give you any advice, I'm just sharing my own experience. Investments in stocks, funds, bonds or cryptos are risk investments and you could lose some or all of your money. Do your due diligence before investing in any kind of asset. Both individuals and entities can invest through Mintos. Individual investors must be at least 18 years old, have a bank account in the European Union or third countries currently considered to have AML/CFT systems equivalent to the EU, and have their identity successfully verified by Mintos. At the moment, US citizens or taxpayers cannot register as investors at Mintos. Sign up for Mintos.com here. By using my affiliate link for registration both you and I will receive — 1% of our average daily balance which should be paid in 3 installments for the first 90 days. In total there were 8 great companies paying me dividends in July, that's 3 more if compared to the previous July. The YoY growth rate for my dividend income in July is 62.91%. Awesome that's exactly USD 78.33 more than a year ago. 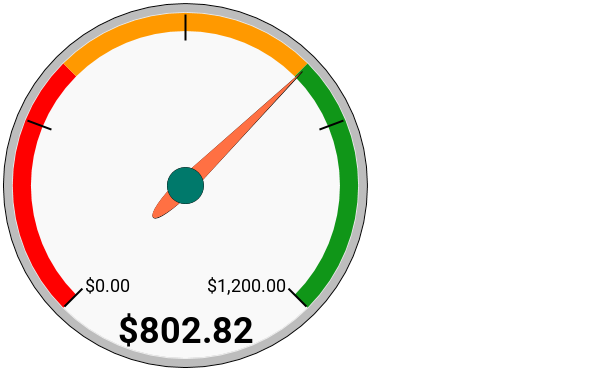 On the average, I should pull about $79.44 each month for the next 5 months to reach my $1200 goal for 2018. Right now it seems I'm on the right track. Wow, I just did it. Amazing! Now, when speaking about July 2019 - I will set a goal to crack $300. Hard but doable. Join more than 160 subscribers and get notified once the newest dividend income article is is out.